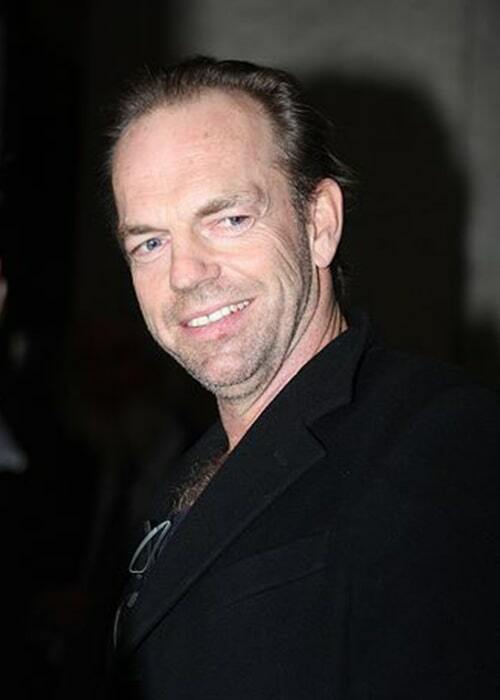 Hugo Weaving is an Australian-English stage, film and voice actor. He is well known for his role in The Matrix Trilogy where he played the role of Agent Smith and the character Elron in The Lord of the Rings. He has also had parts in Proof, The Adventures of Priscilla, Queen of the Desert, Cloud Atlas, The Hobbit, Vendetta, Captain America: The First Avenger, and Hacksaw Ridge. His 1st TV role was in the series Bodyline in 1984. He has also had voice acting roles in films such as Babe, Happy Feet, Happy Feet Two and the first 3 films of Transformers film series. Weaving has received several industry awards in recognition for the work he has done including E Satellite Award, MTV Movie Award, Australian Film Institute Award, among others. 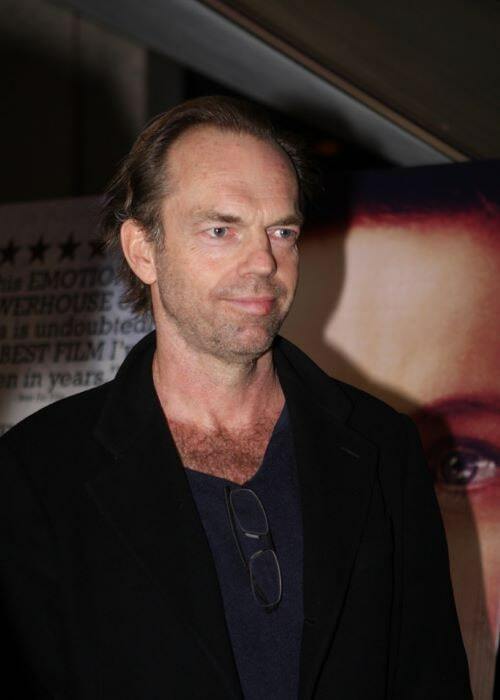 Hugo Weaving attended The Downs School, Wraxall, near Bristol, and Queen Elizabeth’s Hospital in the UK. He also went to Knox Grammar School and National Institute of Dramatic Art in Sydney. 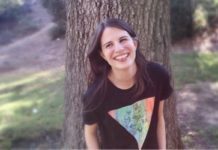 Katrina Greenwood (1984-Present) – Weaving and Katrina have been together since 1984. They have 2 children together, Harry Greenwood (b. 1989) who is an actor and Holly (b. 1993). His parents are English and his grandmother on the maternal side was Belgian. He has endorsed the Australian animal rights organization Voiceless. He is a spokesperson for Epilepsy Charity. Hugo Weaving performed in the songs Top Of The World, Suzanne, and That’s Entertainment in the 1992 short movie Road to Alice. He also performed the songs like So Long Marianne, One of Us Cannot be Wrong, Rock and Roll, The Ship Song, etc. 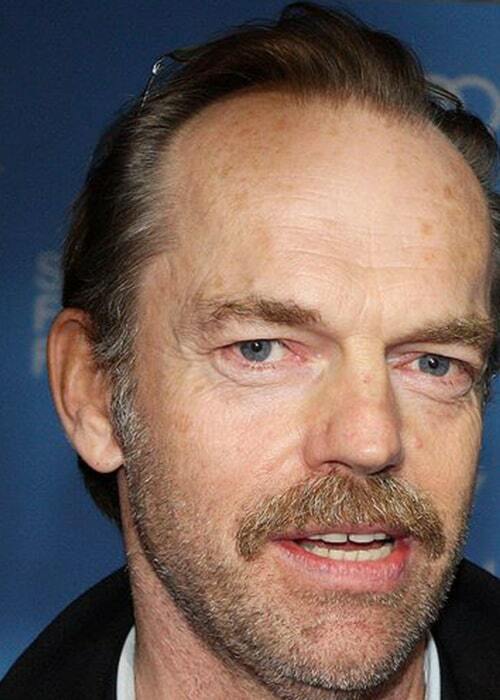 Hugo Weaving made his theatrical film debut as Student 2 in the 1981 film Maybe This Time. He made his TV show debut as Douglas Jardine on the TV Mini-Series Bodyline in 1984. Weaving was born in Ibadan Nigeria. He is the 2nd born out of 3 children. His best subject in school was History. He learned how to act professionally in the National Institute of Dramatic Art in Sydney. His son Harry has followed in his acting footsteps. While filming in the desert, he ran out of epilepsy drugs and discovered that he has nervous anxiety he knew nothing about. He does not consider himself as having any nationality. He is just a person who lives in the world and does not feel English even when in England. Hugo enjoys watching Aussie football. When he was a year old, his parents moved to the United Kingdom. They thereafter moved to Australia, South Africa and then back to the UK. The movements were because of his father’s job. He was diagnosed with epilepsy at the age of 13. Fortunately, by the age of 18, the disease seemed to clear up. He does not drive at all and does not have a driving license because of his childhood epilepsy. Hugo attended high school with actors like Hugh Jackman, Reg Livermore, and Adam Garcia. He is a vegetarian but eats fish. 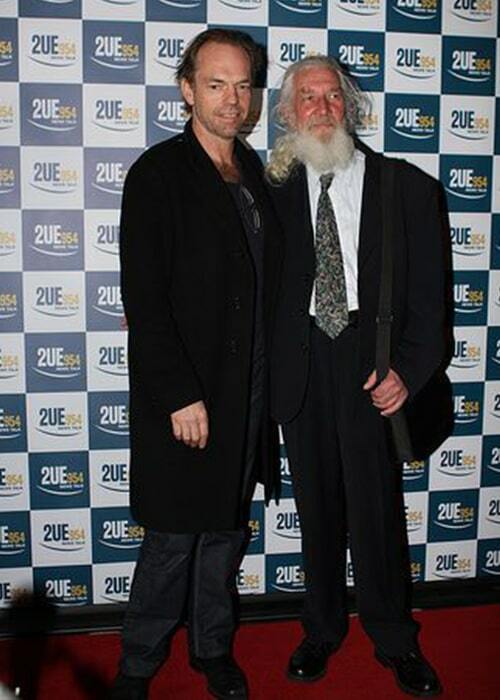 In an industry that has seen its fair share of divorce and breakups, Weaving and his partner Katrina have managed to maintain their steady relationship since 1984. He is skeptical about the institution of marriage but jokingly says that they will probably get married when they are really old. 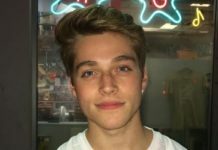 One of his acting mentors is Kevin Jackson. One of his voice roles was in the Transformers films. He says that he doesn’t have any personal investment in the film because he knew very little about them. He likes to work in Australia because the budget and crews are small meaning the work pace is faster. Big budget movies have a lot of sitting around time which can sap one’s energy. 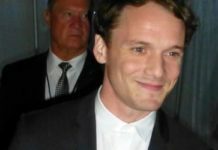 He said that the film The Interview was fulfilling to act in because the director was well prepared and open, and he worked well with the co-star Tony Martin. Listening to Shakespeares ‘Romeo and Juliet’ as performed by Prokofiev was very moving for him and had a big influence on his choice to become an actor. He was nominated “Best Villain” at the 2000 Blockbuster Entertainment Awards for his role in The Matrix. He has won the Australian Film Institute Awards in the category “Best Actor in a Lead Role” for the movies Proof, The Interview, and Little Fish in 1991, 1998, and 2005 respectively. Hugo also won the “Best Male Performance” award at The Constellation Awards for the film V for Vendetta in 2007. He took home a number of other awards including the Sydney Theatre Awards in 2011 for the “Best Supporting Actor”, Helen Hayes Awards in 2012 for “Best Supporting Performer”, and Helpmann Awards in 2018 for being the “Best Male Actor in a Play”. He doesn’t seem to be active on social media.